This year I am part of Melissa’s (30) Days of Sundresses. It is my first time participating in this series so I’m really excited. 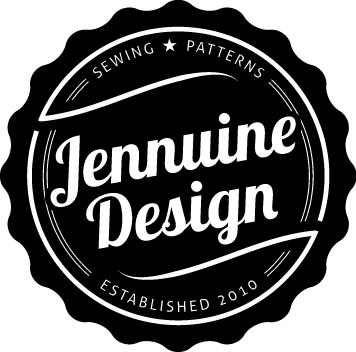 As every year it comes with great collaborations, lots of inspiration and heaps of tutorials to sew the coolest sundresses for women and girls. It is always fun to see what everyone creates. Yo me he decidido por un vestido de niña sin mangas muy muy fresco. La pequeña A con sólo 7 años tiene muy claro lo que quiere: ya no lleva vestidos de linea trapecio ni con la cintura imperio, dice que son para niñas pequeñas. Busqué un patrón que fuera más “de mayor” así que elegí el Marieke de la casa francesa Ikatee, que va de la talla 3 a la 12 para que ninguna niña se quede sin vestido. 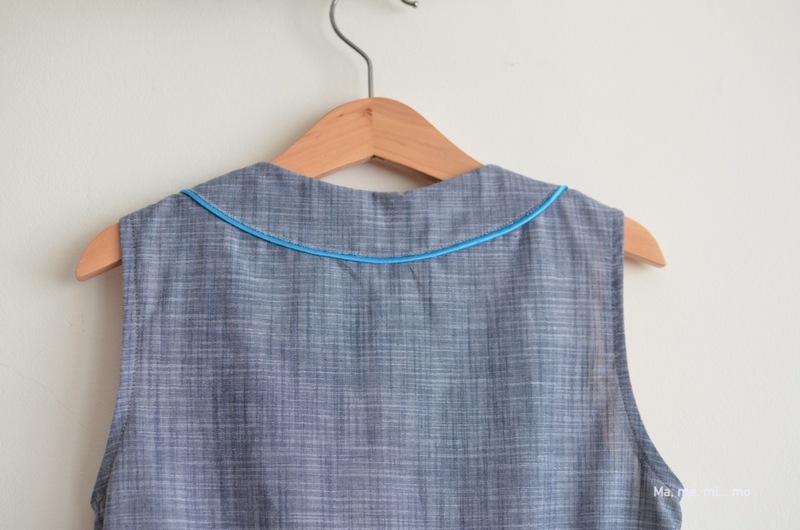 I sewed up a sleeveless dress. 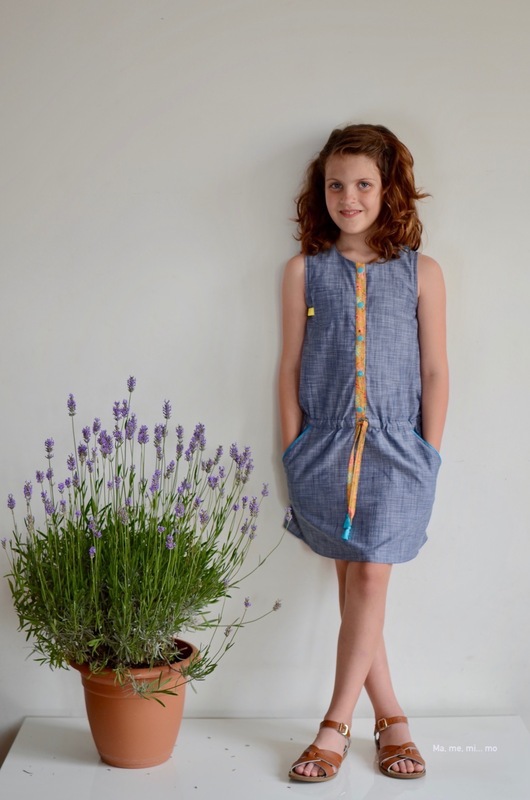 Little A is only 7 but she knows exactly what she wants to wear and A-line and empire waist dresses are not in her list. She thinks those dresses are only for baby girls and… you know…. she is not a baby anymore. 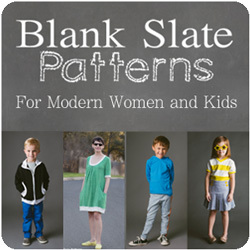 Recently, I’ve discovered Ikatee, a brand of digital sewing patterns for kids and babies with a French twist. 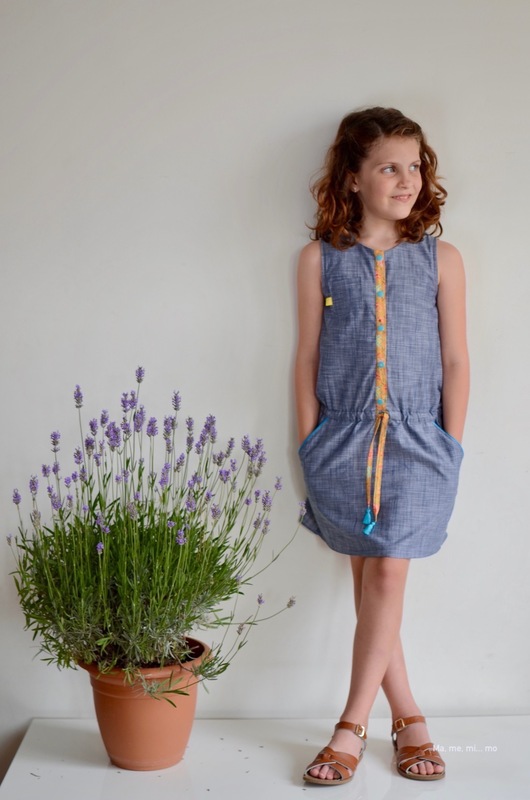 Marieke dress was perfect fot Little A, it comes from size 3 to 12. Es un patrón muy simple pero que incluye infinidad de pequeños detalles que lo hacen muy especial. Puedes elegir entre de mono o vestido, manga larga, manga corta de volante so sin mangas. El cuerpo va abotonado, yo he usado snaps. 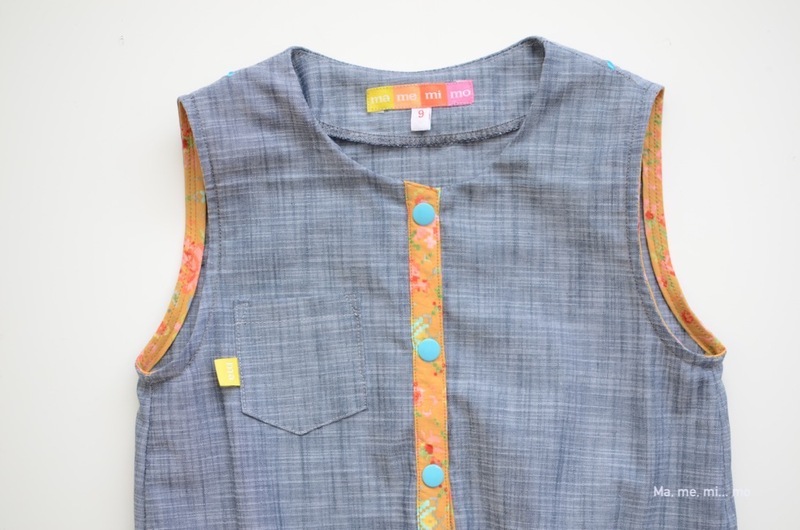 It is a simple pattern but it comes with lots of details so it turns into a very special garment. View A is a dress, view B a romper, there are three sleeve lengths and the body has a button plaquet (I used snaps to make it easier to use). Los bolsillos, por muy simple que sea el patrón, no pueden faltar. Y el cinturón finito le encanta a mi hija. 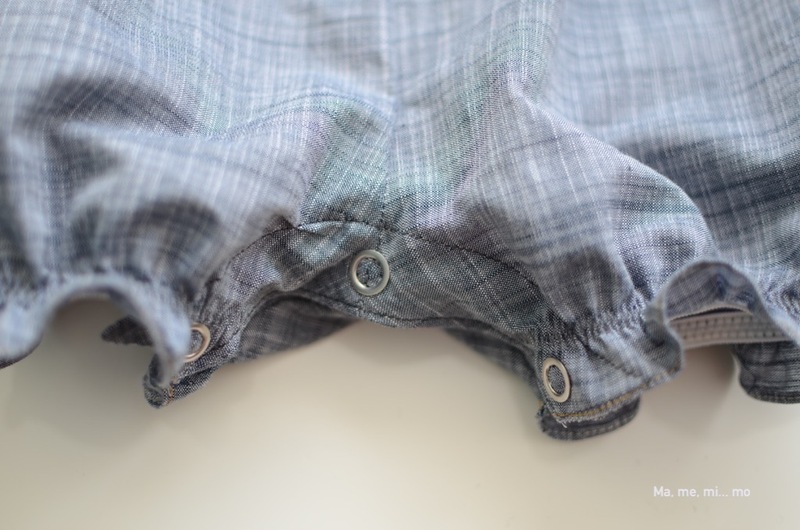 It has pockets, too! And A loves the thin belt. No pude evitar elegir un patrón para su hermana pequeña y coserle algo también al bebé. Irán súper bonitas conjuntadas este verano. El mono es el patrón Volantis, también de Ikatee, y me sorprendió lo rápido y fácil que resulta de coserlo. I had to sew something for her baby sister, too. I think they are going to look stunning with their matching outfits. 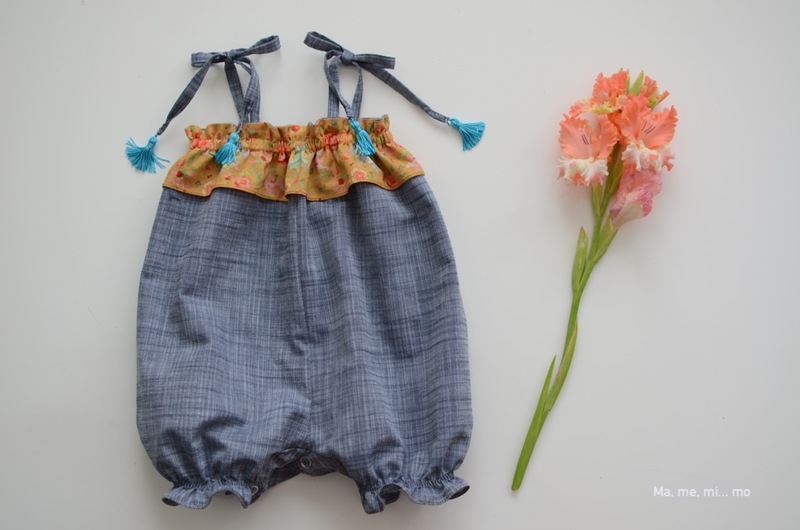 The pattern for the baby romper is from Ikatee, too, it’s called Volantis. I was surprised how quick and easy is it. 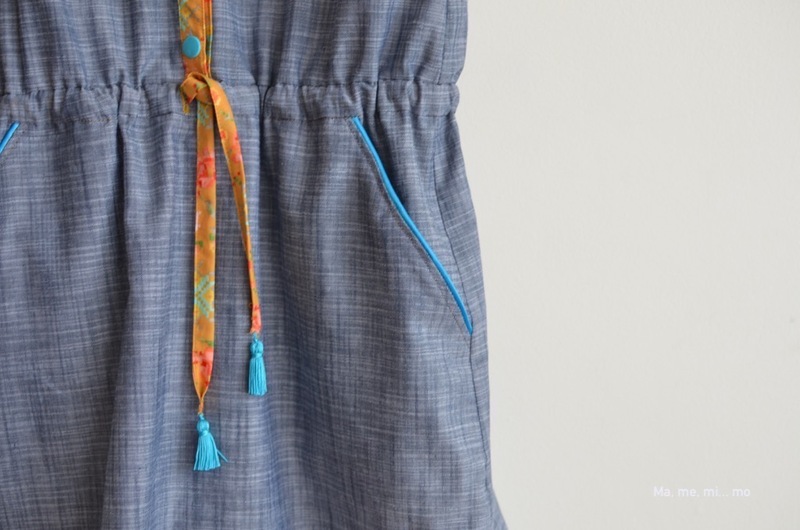 He cosido ambos en un chambray muy fresco de Telaria y los detalles a contraste con esta tela tan bonita diseñada por Liesl Gibson, de la colección Woodland Clearing. ¡Espero que os haya gustado! No os perdáis el resto de la serie donde encontraréis los mejores vestidos, patrones gratuitos y tutoriales para que te cosas el perfecto vestido de verano. 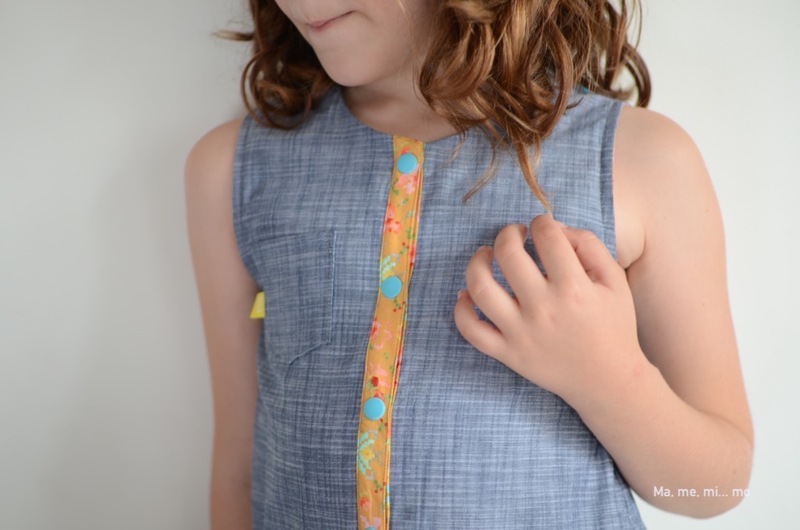 I sewed both with a fantastic chambray from Telaria (I’ve used it before for me in THIS hacked dress) and a Liesl Gibson Woodland Clearing wonderful fabric for the contrasting details. 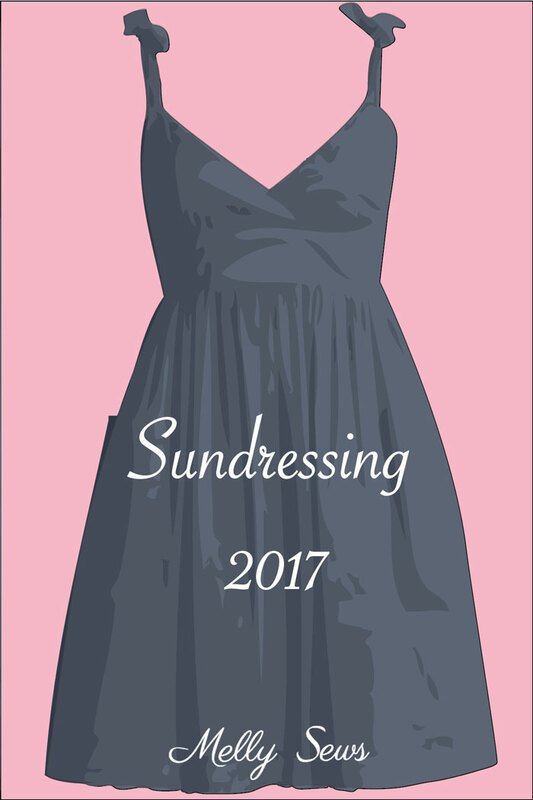 Have you been following the Sundressing series? 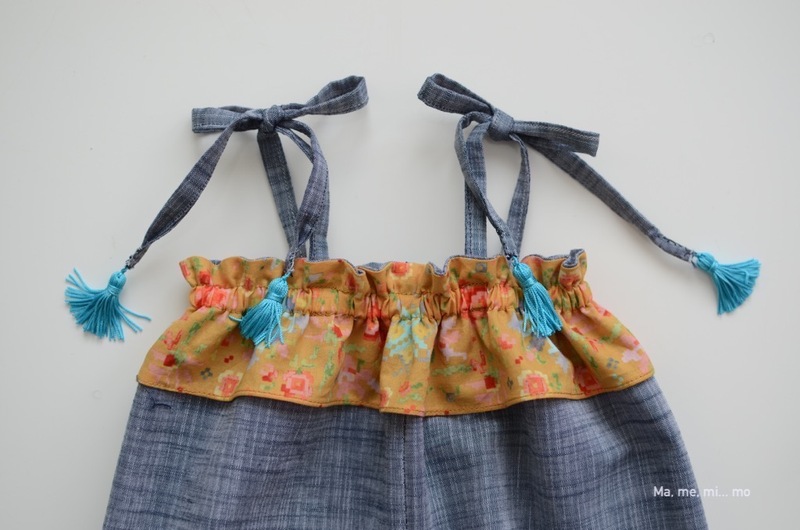 Pop over to Melly Sews for all the links to gorgeous dresses, free patterns, tutorials and tips to get your perfect summer dresss.